Malignant mesothelioma is a rare cancer with no known cure. It starts in the cells lining the organs in chest, abdomen, and rarely in the heart, and the testicles, called mesothelial cells. Mesothelial cells also cover the outer surface of most of your internal organs, forming a lining known as the mesothelium. The mesothelium produces a fluid that acts as a lubricating agent to help the organs move against each other smoothly. Cancer begins when the cells for whatever reason start to grow out of control. The lining of mesothelium cells around the heart is called the pericardium, it creates the space that holds the heart in the chest. This condition called pericardial mesothelioma is extremely rare. The pleura covers the lung and the space in the chest containing the lung. This cancer is called pleural mesothelioma. The peritoneum is the mesothelium lining the inside of the abdomen and, many of the organs in the peritoneum. This is called peritoneal mesothelioma. Lining the testicles is the mesothelium layer known as tunica vaginalis. This is testicular mesothelioma. Mesothelioma can develop in any of these linings. Epithelial cell type is the most common type of mesothelioma. This specific type accounts 50-70 percent of all cases. This type of mesothelioma has the most favorable outcome. Biphasic Mesothelioma contains 2 different types of mesothelioma. It contains epithelial and sarcomatoid cells. This is the second best mesothelioma to have. This specific type is about 20-35 percent of the 3000 cases diagnosed each year. Depending on the ratio from epithelial to sarcomatoid, cells will depend on the prognosis. Sarcomatoid Mesothelioma would be the challenging type of mesothelioma for prognosis. It accounts for the smallest percentage of mesothelioma diagnosis. It is accountable for 5-10 percent of the cases. The symptoms of mesothelioma are the same symptoms of other common illnesses. The diagnosis is difficult to make. 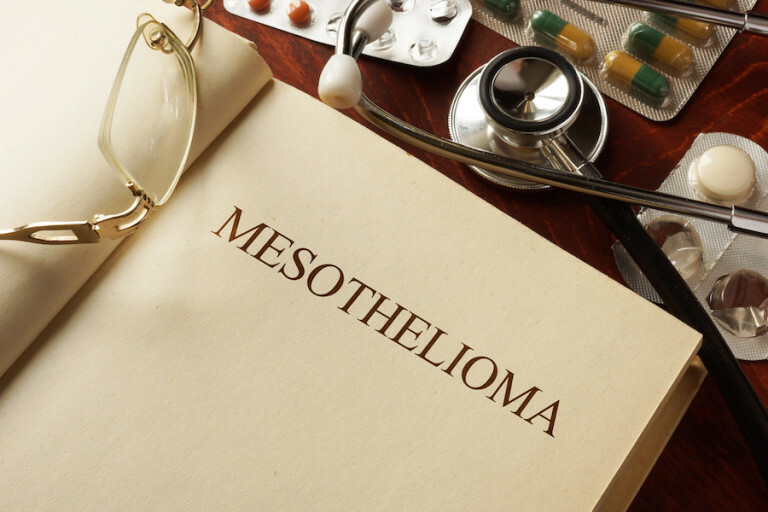 For detailed information on how mesothelioma is diagnosed, click here. Often, a mesothelioma diagnosis is made after other diseases have been ruled out. It is estimated that symptoms can occur after an exposure to asbestos as long as 20 to 50 years previously. The common symptoms for pleural mesothelioma are pain in the side of the chest or lower back, shortness of breath, pleural effusions, dry cough, fever, excessive sweating, fatigue, weight loss, trouble swallowing and hoarseness. Peritoneal mesothelioma symptoms can include abdominal belly pain, swelling or fluid in the abdomen, weight loss, nausea and vomiting and constipation. Mesothelioma is a rare cancer. It occurs in less than 1% of all cancers in the United States, based on the latest data from the SEER registry. The total incidence in the year 2012, the last year that statistics have been released, states a total of 3,247 patients diagnosed with mesothelioma. Males account for 2,341 of that number and females 906 of the total. The overwhelming majority being male age 60 to 80 plus. Race also is a factor with African-American and Asian mesothelioma victims accounting for 109 and 56 patients, respectfully of the total. The one year survival rate of patients diagnosed with mesothelioma in 2011, and surviving until 2012 is 52.3%.